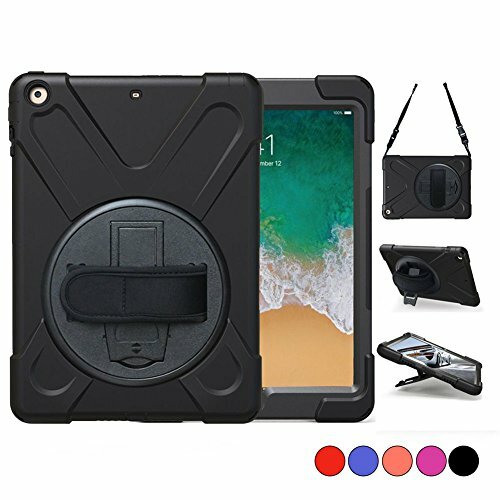 [360 Degree Rotating Stand]: On the back side of the high impact resistant plastic shockproof bumper 2017/2018 9.7 inch Apple iPad tablet case there is a sturdy 360° swivel foldable kickstand.Convenient for watching videos,conferences, travelling. [Notes]: (1)In order to keep primary tactility, this iPad 9.7 2017/2018 case cover is designed without built-in screen protector. (2)There is no Front Cover, only a Rugged PC & Soft Silicone Hybrid Back Case. If you have any questions about this product by TSQ, contact us by completing and submitting the form below. If you are looking for a specif part number, please include it with your message.